Last week, we looked at what’s new for Ford in 2017. This week, we look to Chevrolet, the Coca-Cola to Ford’s Pepsi. The Camaro to their Mustang. The bowtie to their blue oval. A staple of the American economy for over a century, Chevrolet, or “Chevy” as known to many, sells a car every 7.5 seconds and markets vehicles to two-thirds of the globe. 2016 is coming to a close and 2017 models are already on the lot. Let’s take a look at what’s new and in store for Chevrolet in 2017. 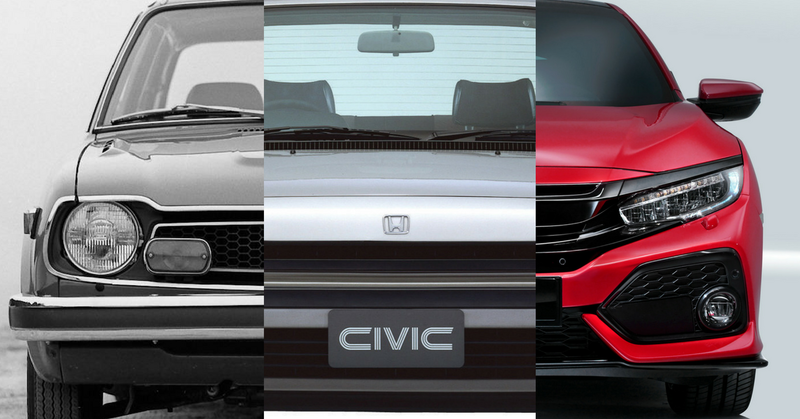 2016 saw quite a bit of redesign for bowtie cars. That’s not to say that 2017 isn’t offering a few of its own, as well as some improvements over last year. New safety features include low-speed automatic braking paired with the existing forward collision warning system, the Teen Driver management system, and Rear Seat Reminder – a reminder to check the backseats for child occupants. Chevrolet also re-christened the top trims to the Premier trim for vehicles. Select 2017 models were also given new 8- and 9-speed automatic transmissions and new engine with Active Fuel Management. 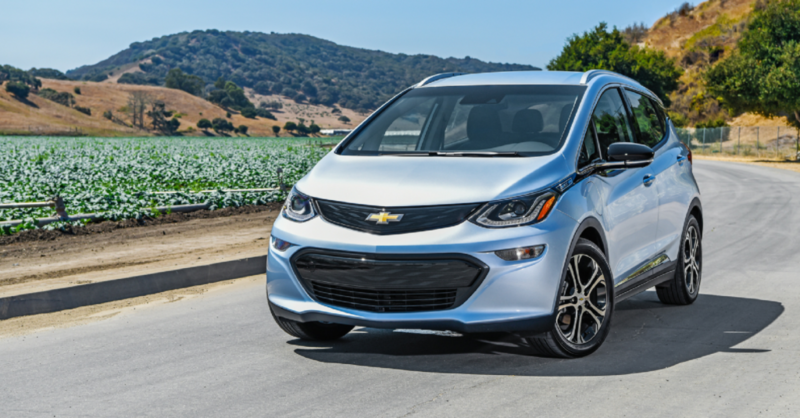 Introduced this year to give other electric cars a run for their money, literally – the 2017 Chevrolet Bolt has a range of 238 miles with a price starting at $36,620 minus a $7500 federal tax credit bringing the starting price below $30,000. It is a wagon that measures up to a crossover, comfortable, roomy with max cargo space of 56.6 cubic feet, and rides smooth. Like other electrics, it has a lot of pep and does 0-60 mph in about six and a half seconds. It has a sleek design on the outside, and on the inside has a 10.2-inch-touch-screen display, rear camera mirror, and Surround Vision. Available safety features include Side Blind Zone Alert, Rear Cross Traffic Alert, Forward Collision Alert, and Forward Pedestrian Alert. 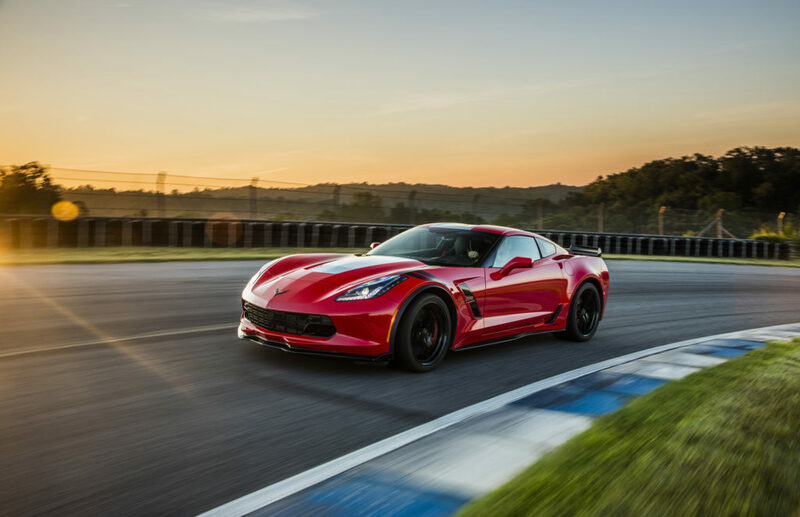 The 2017 Chevrolet Corvette is mostly unchanged from last year, but is offering a Grand Sport model that pairs a lightweight racing chassis with the 460 hp, 6.2 L small block V8 engine. No big deal, right (sarcasm)? The Grand Sport also offers standard magnetic ride control, electronic limited-slip differential, and 7-speed manual transmission with Active Rev Match. 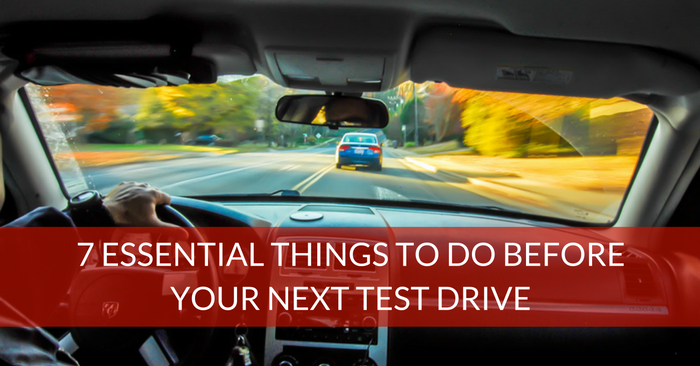 You can also get an eight-speed paddle-shift automatic with specific performance calibration. The really fun part is that this is one of those “race” cars that you can order with a ton of personalization. 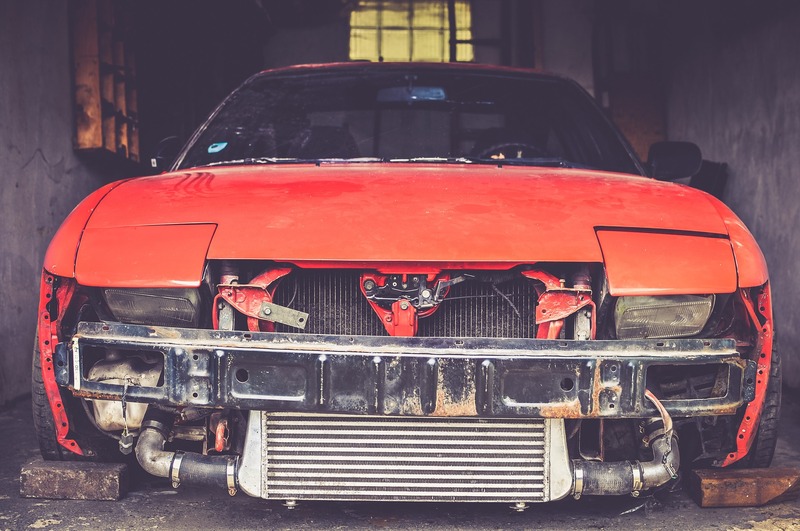 Ok, so you probably won’t be racing it without risking a hefty speeding ticket, but for the price, level of customization, and performance, it’s quite the car. Alright, it is really cool. Aside from making the new Teen Driver Mode feature standard in all trims, Chevrolet’s best-selling Cruze sedan is unchanged from the previous year’s redesign. 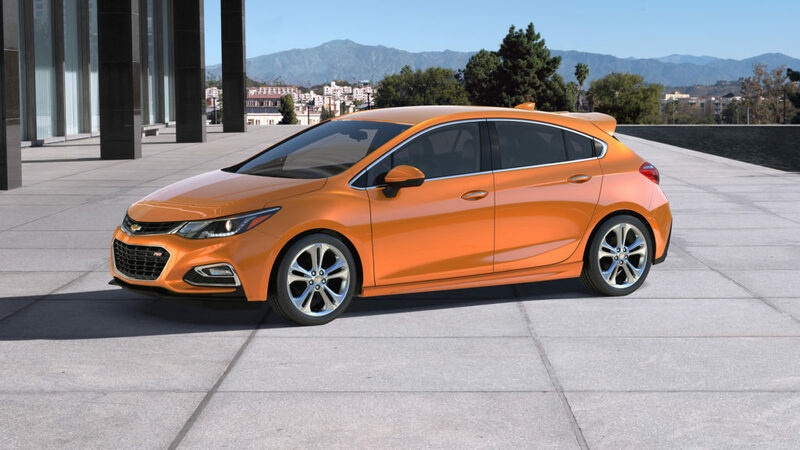 However, the all-new 2017 Chevrolet Cruze Hatchback debuts with versatile cargo room and a lot of tech. The wheelbase is the same as the sedan model, but roof and rear-end structure have a unique design that wraps the taillamps and integrates a spoiler on top of the lift gate. The RS package includes rocker panels, rear spoiler, and fog lamps. The Premier trim includes 18-inch wheels and Z-link rear suspension. Halogen projector-beam headlamps with LED signature lighting are available. Cruze’s interior offers an impressive amount of legroom and has available 4G LTE with Wi-Fi hotspot, heated steering wheel, and heated front and rear seats, keeping you warm and connected. And, with just over 22 cubic feet of cargo space behind the rear seat, and up-to 47. 2 cubic feet with the rear seat folded down, you have plenty of room to transport your gear. Notable standard safety features for all levels include Lane Keep Assist, Rear Cross Traffic Alert, Side Blind Zone Alert and Rear Park Assist. 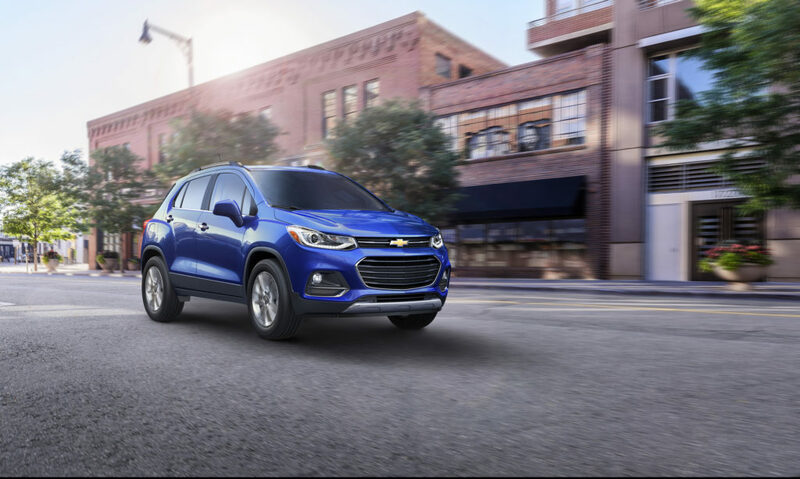 The 2017 Chevrolet Trax receives an all-new, more contemporary look, just two years after its first full year on the market. The front-end incorporates Chevrolet’s new dual port grille, manifesting a bit of a smile shape to match the fun feel of the SUV. It also receives new halogen projector headlamps with LED signature lighting at the premier level and chrome accents surrounding the fog lights. The rear-end was also reworked to incorporate dual taillamps. On the inside, the instrument panel is redesigned with a center cluster that and new 7-inch touch screen. Connect up-to seven personal devices with the 4G LTE Wi-Fi connection and press “Play” on either Apple CarPlay and Android Auto. Several advanced safety features are available, including Side Blind Zone Alert, Forward Collision Alert, and Lane Departure Warning. Chevrolet is gifting the 2017 Chevrolet Colorado with an all-new 3.6 L V6 engine, paired with an 8-speed Automatic transmission, to emphasize performance and fuel efficiency. Chevy’s V6 includes improved variable valve timing for intake and exhaust and improved direct injection. 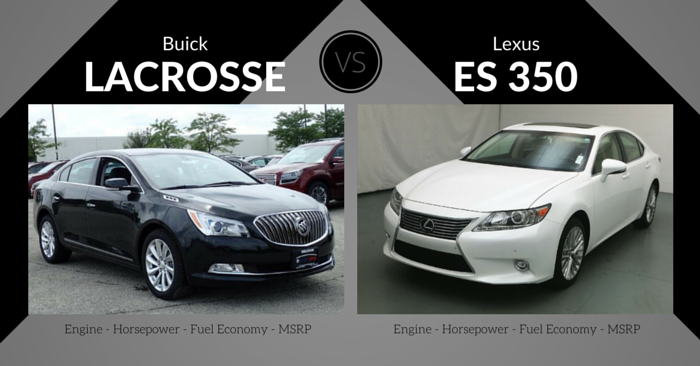 Horsepower increases to 308 hp, and torque to 275 lb-ft. The engine also introduces Active Fuel Management, which deactivates two cylinders when not needed. 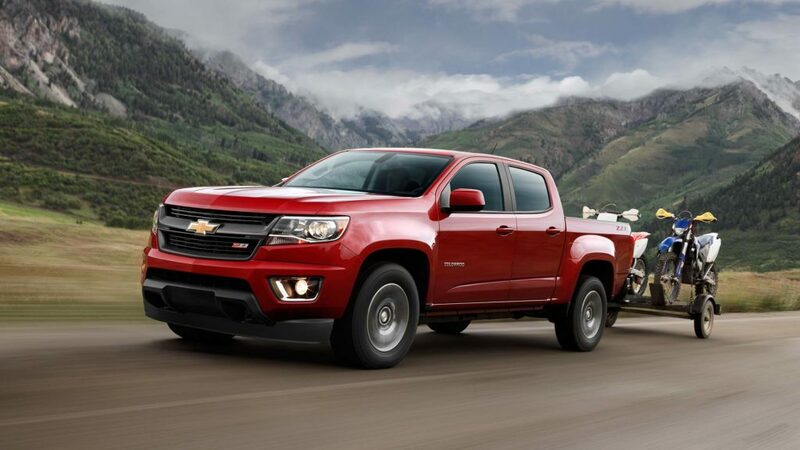 While smaller than a full-size truck, the 2017 Chevrolet Colorado offers almost as much utility for its size. The available GearOn storage system has two-tier loading and bed divider for your gear. Or, pick up a bed extender to expand the cargo capacity. Activate 4G LTE Wi-Fi and MyLink connectivity on the 8-inch touch screen. It also offers Apple CarPlay and Android Auto compatibility. Teen Driver tech is integrated into the Colorado, and a rear vision camera comes standard. 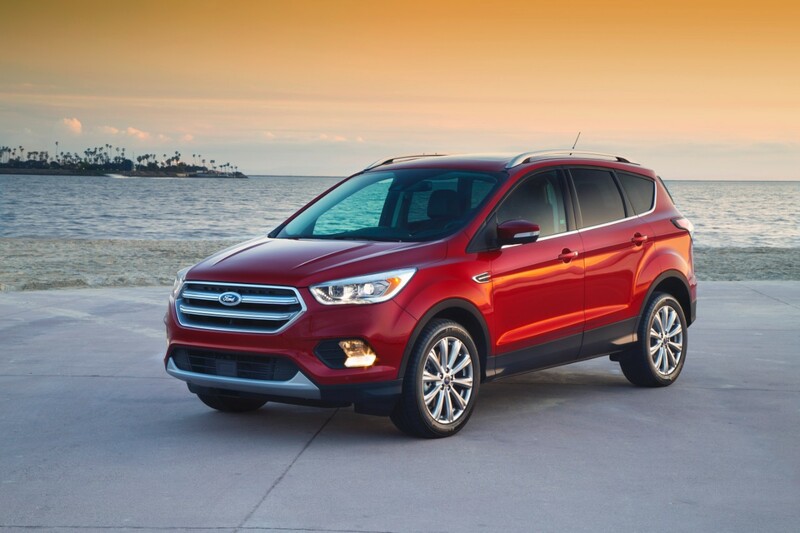 Available safety features include Forward Collision Alert and Lane Departure Warning. Twice a year, the sun crosses the celestial equator, when day and night are of equal length. This balance is called the equinox. As with its namesake, the new 2018 Equinox aims for balance. 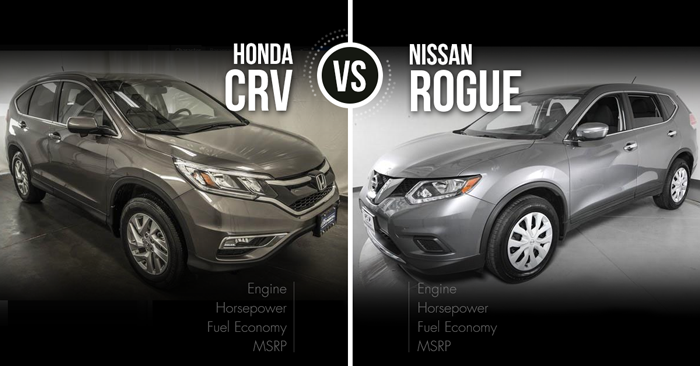 The design is lean and athletic, the kind of compact SUV you’d drive to the gym or to yoga. On the inside, Chevrolet is trying a denim-style seat fabric blend. Maybe wear a sport coat and dress shoes with your jeans? You trendy socialite! Let’s sprinkle in 3 turbo engine choices, including a 1.5 L, 2.0 L, and 1.6 L turbo-diesel to pair up with the 9-speed automatic transmission. New safety features include radar and camera based technology, including Surround Vision, Forward Collision Alert with Following Distance Indicator, Low-Speed Forward Automatic Braking, Lane Keep Assist with Lane Departure Warning, and Lane Change Alert with Side Blind Zone Alert. Parents can rest assured, it comes with Rear Seat Reminder for young children and Teen Driver mode for the older ones. An 8-inch touchscreen controls the MyLink infotainment system that supports Apple CarPlay and Android Auto, and OnStar 4G LTE Wi-Fi hotspot is available. The 2017 Chevrolet Equinox remains mostly unchanged over last year. The Chevrolet SS Sedan is winding down production. All 415 horsepower from the 6.2 L small block V8 (and long list of impressive features) will be missed. Fingers crossed that we see a replacement. Speaking of, maybe the Chevrolet Blazer will be making a comeback in the near future? El Camino? 2017 Chevrolet Camaro (Last year’s full redesign impressed us. For 2017, be on the lookout for the 50th Anniversary Edition package). 2017 Chevrolet Silverado 1500 (New active grille shutters and Teen Driver Mode and Rearview Camera are standard). 2017 Chevrolet Malibu (New paint colors and a 9-speed automatic transmission available, but otherwise unchanged). 2017 Chevrolet Suburban (Our favorite new feature is the reminder to check the backseat for child occupants. Otherwise, mostly unchanged). Which Chevy are you most looking forward to? Let us know in the comments!